The fire is roaring in the grate but who could have imaged that there could be such suspense and danger sitting by the fire and having a cup of tea? 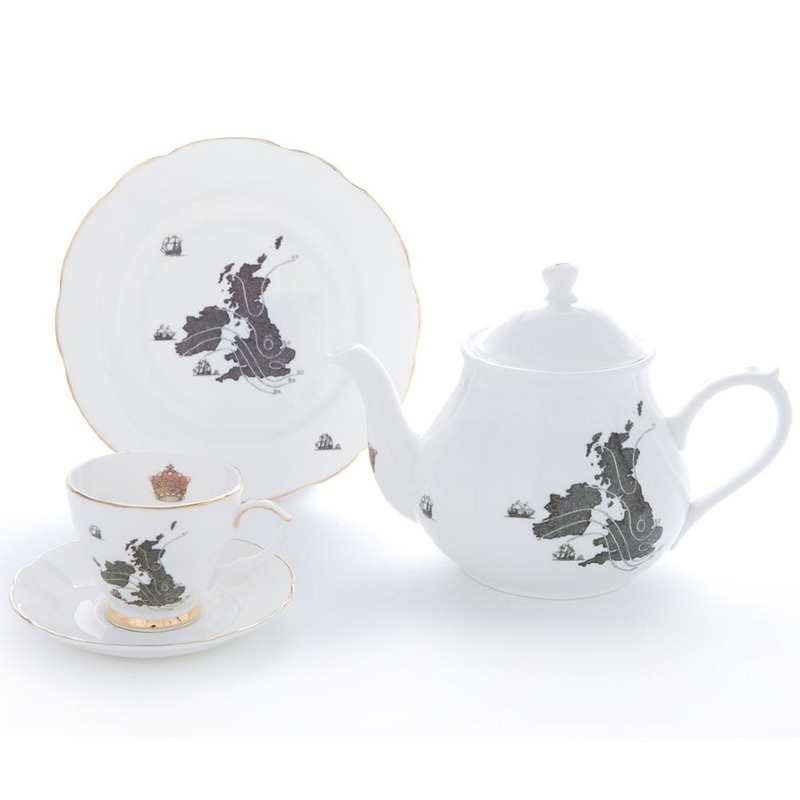 In the 2nd BBC series Sherlock, Reichenbach Falls featured a splendid scene where Sherlock, anticipating the arrival of his arch enemy Jim Moriarty, puts the kettle on, and you have guessed it – makes a pot of tea! How civilised I thought, as Jim is rather an unpleasant person. 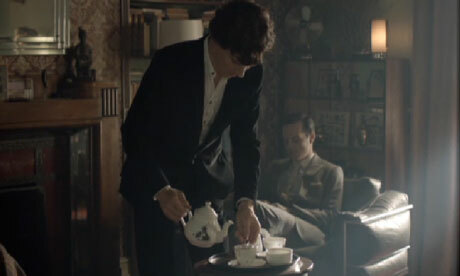 It felt right that the modern day Sherlock still drinks his tea from a cup and saucer. Quite frankly, my dears, there are some things that really do not change. Nevertheless, you cannot help but be drawn to this moody intellectual violin playing character. Rather than the Victorian interpretation as originally written by Sir Arthur Conan Doyle, the BBC have rather cleverly brought Sherlock up to date. Although rather poignantly, the modern day John Watson has returned injured from war in Afganistan just as the original book, gone is Sherlocks pipe and in are nicotine patches, with hackney cabs replacing their horse drawn 19th century equivalents. Although thank goodness she assures that more can be had, with patience my dears. 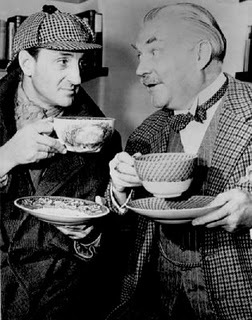 This gentlemans tea is homely, in contrast to the danger and suspense that Sherlock is usually surrounded by. Prepared by Mrs Hudson who rather amusingly we know will have needed to search discriminately in the fridge for the supplies for this tea, avoiding the gruesome specimens that Sherlock stores there. Create a menu to hand to your guests and attach an interesting Sir Arther Conan Doyle quote from favourite your book – I adore “Elementary my Dear Watson” as it usually comes at the point where Sherlock Holmes has solved the crime, and Watson is still very much still baffled and in the dark. And of course leaf tea – a current delightful discovery is Jeniers Assam – a malty full bodied brew, just perfect for this gentlemans high tea.